Mineral Resources is making progress on a farm-in and joint venture agreement with Brockman Mining over the Marillana iron ore project. 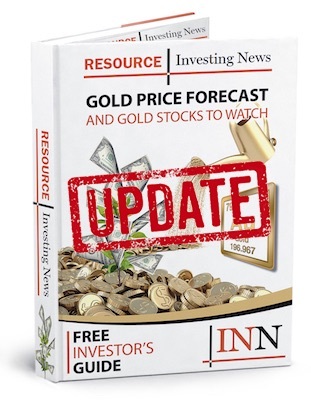 Mineral Resources (ASX:MIN) is progressing on a farm-in and joint venture deal with Brockman Mining (ASX:BCK) over the Marillana iron ore project in Western Australia’s Pilbara region. The latest development came on Monday (January 21), when the two companies executed a mine-to-ship logistics agreement for the transport of iron ore from Marillana to Port Hedland by a light-rail system. The agreement is still subject to conditions such as: MinRes entering a state agreement with the Western Australian government; gaining project finances to fund the project infrastructure; gathering all necessary leases and licenses for the rail system and port infrastructure; and the company’s board making a final investment decision. When the necessary conditions are met, the agreement will see MinRes construct, commission and operate the rail, rollingstock and port infrastructure needed to transport up to 30 million tonnes per year (Mtpa) of iron ore from Marillana to Port Hedland. This will include loading the product onto vessels for export, and will be effective during Marillana’s full lifespan. In order to earn a 50-percent stake in the asset, MinRes must spend $250,000 on exploration and development activities on Marillana tenements. It must also complete the process design criteria for Marillana’s processing plant, optimize its mine plan study and finalize the mine development layout plan. Once those obligations are covered, the companies will form an unincorporated 50/50 joint venture and will move forward together on developing Marillana. Marillana is expected to produce 20 Mtpa of iron ore product, but has the potential to push production capacity to 30 Mtpa. As of May 2018, the project had a total iron ore mineral resource of 1.51 billion tonnes, with ore reserves amounting 1 billion tonnes. MinRes’ share price was down 0.19 percent on Tuesday (January 22), ending the trading day on the ASX at AU$15.99. Meanwhile, Brockman was up 5.19 percent, closing the day at AU$0.04.